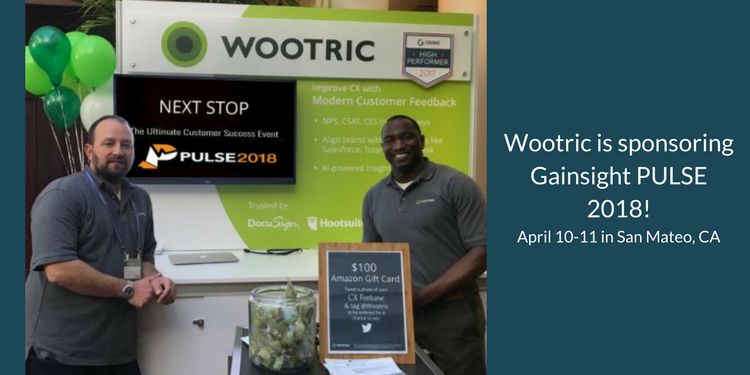 We are excited to participate as a sponsor at the Gainsight PULSE 2018 Customer Success Event on April 10-11 in San Mateo, CA, where we will be showcasing our Wootric integration with Gainsight and other CRMs. Touted as the biggest event in customer success, PULSE 2018 is expected to pull in 5,000+ attendees and has an impressive list of 150+ speakers including GE Vice Chair and Author Beth Comstock; Author Geoffrey Moore; and many other well-known authorities on customer success. 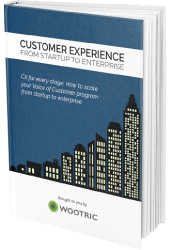 Our team of experts will be at the Wootric booth to show you our modern approach to improving customer experience and to answer your questions about customer feedback strategy. 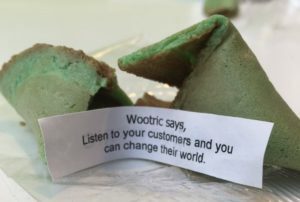 Come by our booth at Gainsight Pulse for one of our delicious green CX fortune cookies. Share an image of your CX fortune on Twitter or in the conference app and you’ll be entered to win a $100 Amazon gift card. We will be giving a card away each day! 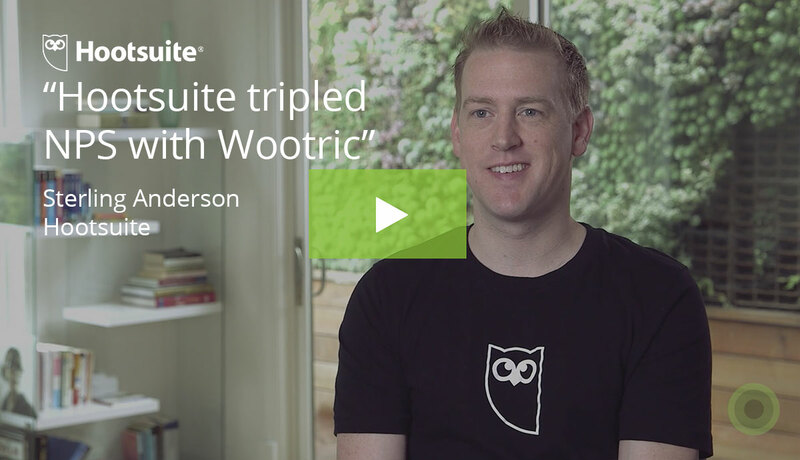 Customer Success teams use Wootric to understand and improve customer health with real-time feedback from both decision-makers and end-users. 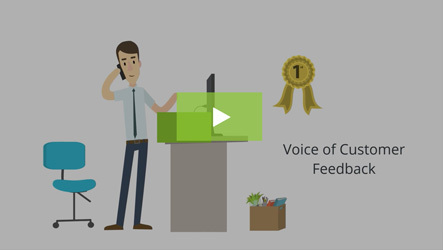 Hear from more customers. 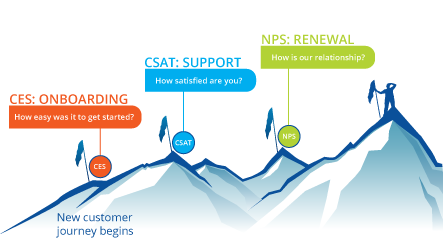 Net Promoter Score (NPS), Customer Satisfaction (CSAT), and Customer Effort Score (CES) microsurveys delivered in-app (desktop or mobile) or email. Understand account health with CX metrics across channels and at customer journey touchpoints. Never miss a trend. 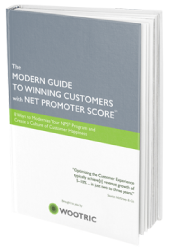 Avoid surprises with a continuous pulse of customer sentiment. Close the loop with customers fast with real-time integration with Slack and CRMs like Gainsight, Salesforce, Intercom, and Totango. If you’re attending PULSE 2018, schedule a 1:1 meeting now to discuss how Wootric can help you win customers for life. If you can’t make the event, but want to discuss our solution, we’d be happy to schedule a short phone or video chat. Hope to see you at Gainsight Pulse 2018 next month! Schedule a meeting at Pulse 2018.